While some public artwork is just for admiring, some of it lets people become part of the piece. That’s the case with Janet Zweig’s Vox Poplar. 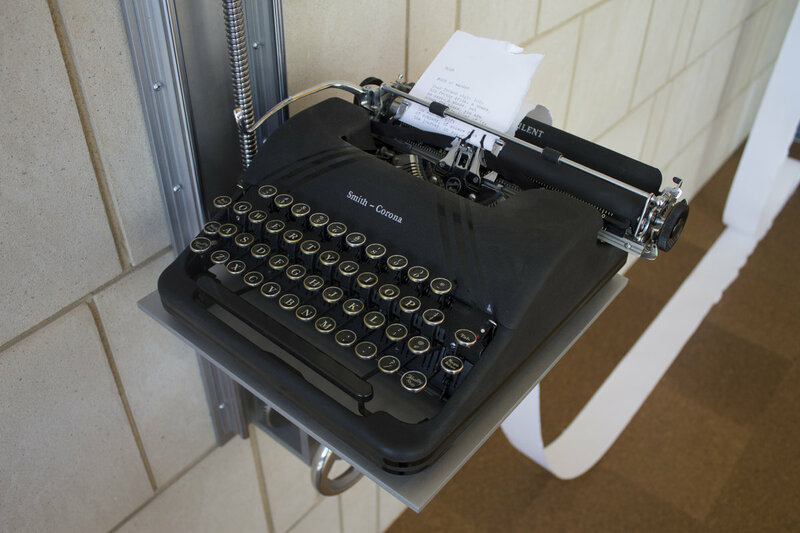 At the Boise Public Library branch at Bown Crossing, wordsmiths can tap away at an antique typewriter. 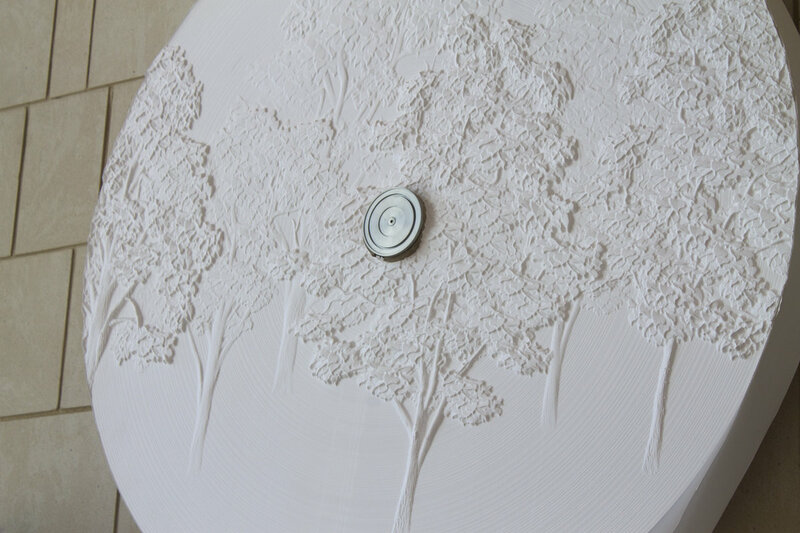 Paper, just awaiting ink and creativity, comes from the massive (28,000 linear feet), wall-mounted roll with a bas-relief of trees. 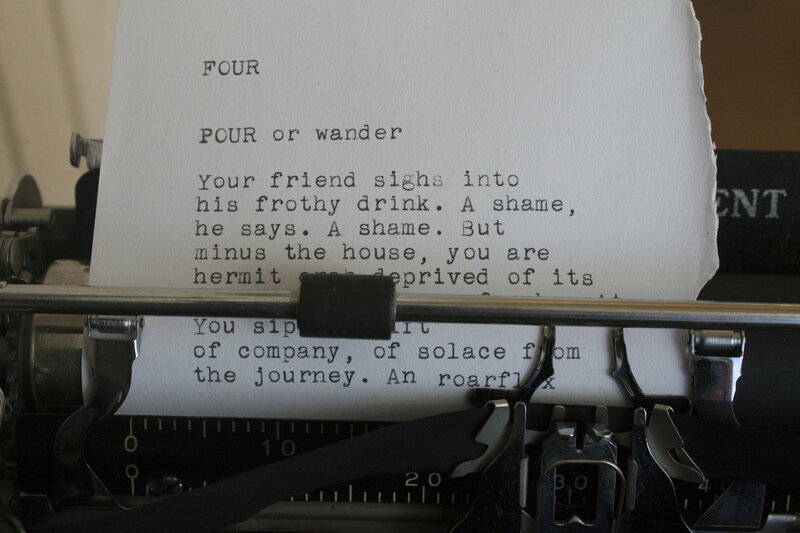 The Cabin, a local literary arts organization, partnered with the City of Boise to supply authors for two-month residencies with the piece. 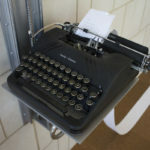 You can see them in action at special engagements (check the calendar at BoisePublicLibrary.org). 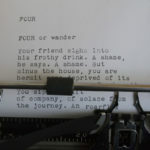 If you miss an author, you can still see what they’ve created in a glass display case next to the installation. Think the piece’s title sounds a bit like Latin? You’re not wrong. 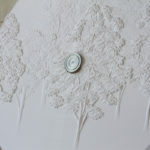 It’s a combination of “Vox Populi” (translated as “voice of the people”) and “poplar” (the trees featured in the design). 2. 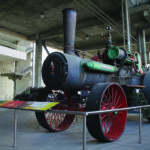 Tractors and Steam Engines, JUMP, 1000 W. Myrtle St. 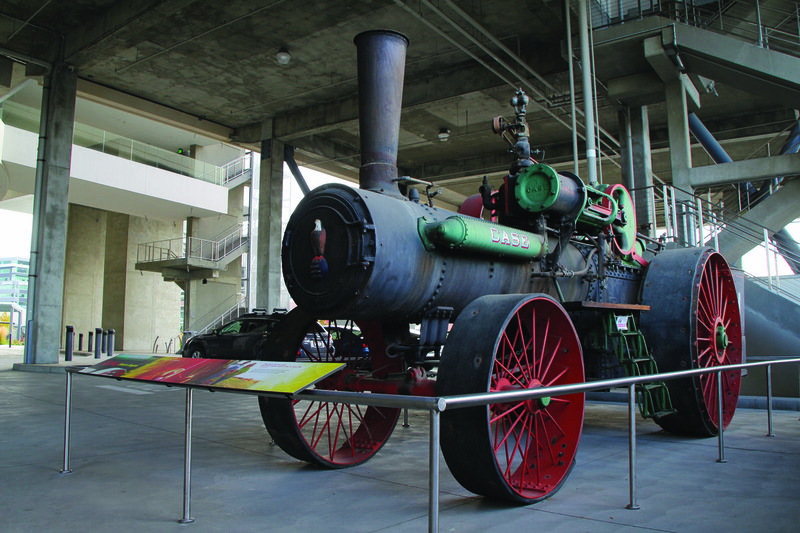 Potato magnate J.R. Simplot had a knack for collecting vintage steam engines and tractors. After his passing in 2008, his dream of sharing his collection transformed into Jack’s Urban Meeting Place (JUMP). 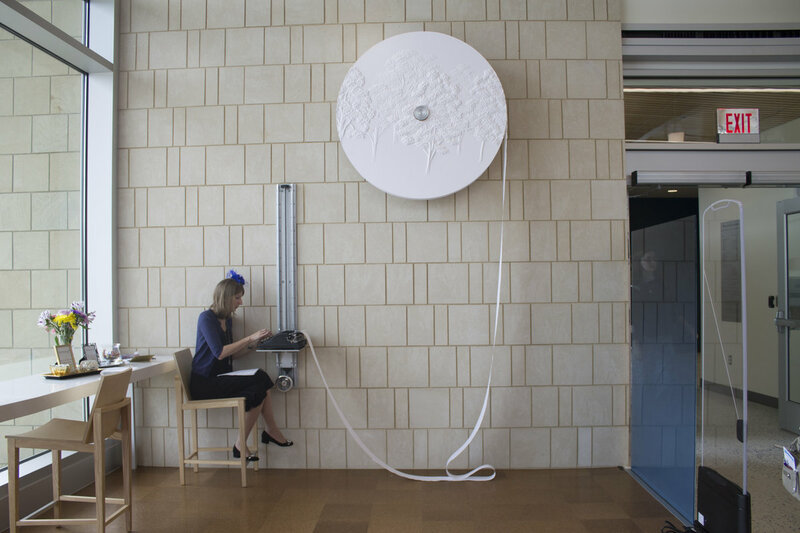 The community center offers studios, play areas and a fresh take on an agricultural museum. 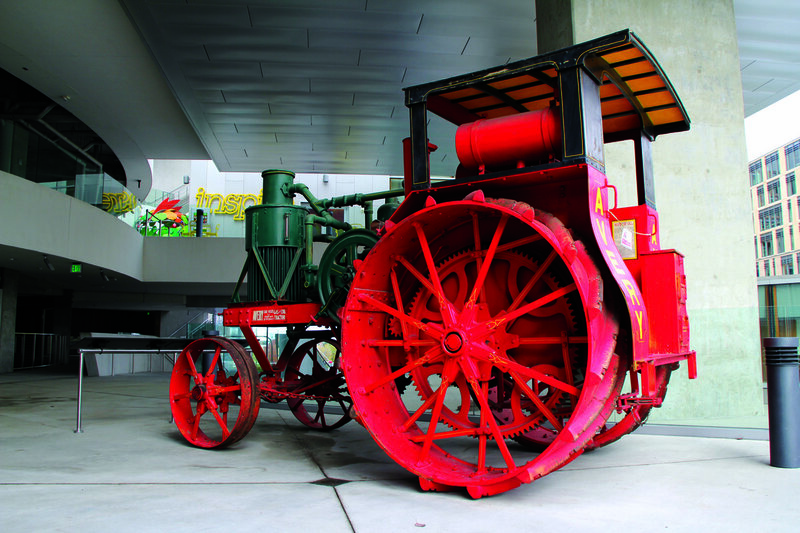 “Pretty much the building was built around (the tractors),” JUMP’s Rob Bearden says. 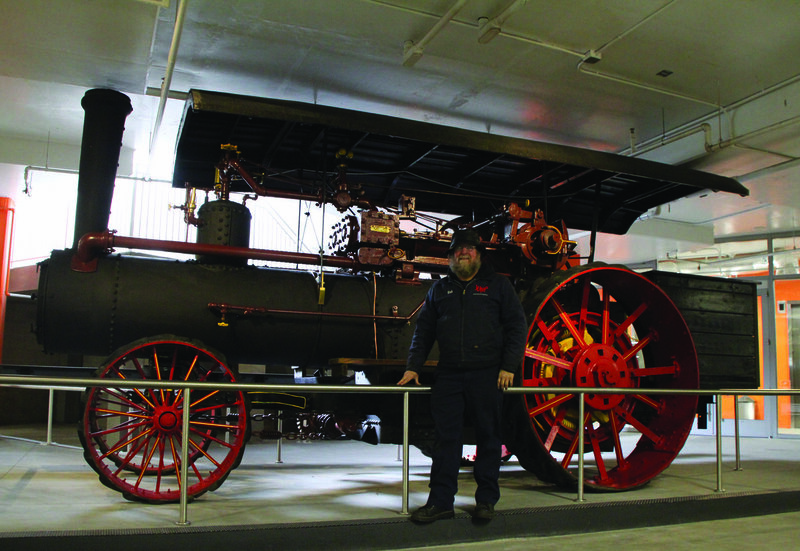 Both a special crane jig and dolly were built to move the industrial art to its new home. 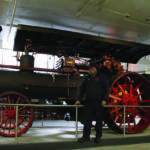 Rob, known as the “Tractor Doctor,” oversees the 50-piece collection, of which 80 percent is operable. For an agricultural history lesson, join Rob on his weekly Wednesday walking tour. 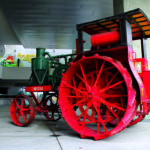 Wander around JUMP and discover the tractors, or reserve your free Tractor Doctor tour spot through JUMPBoise.org or 208.639.6610. 3. 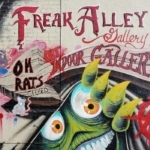 Freak Alley Gallery, 210 N. Ninth St. 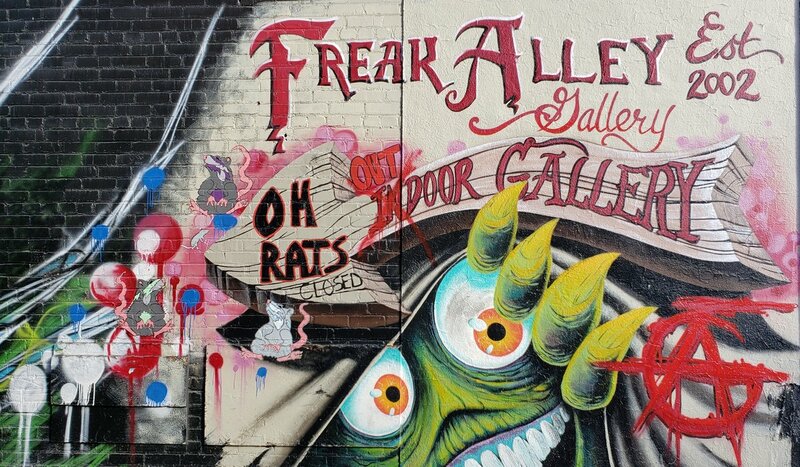 Billing itself as “the largest mural gallery in the Northwest,” Freak Alley has been providing 24/7 access to art since 2002. 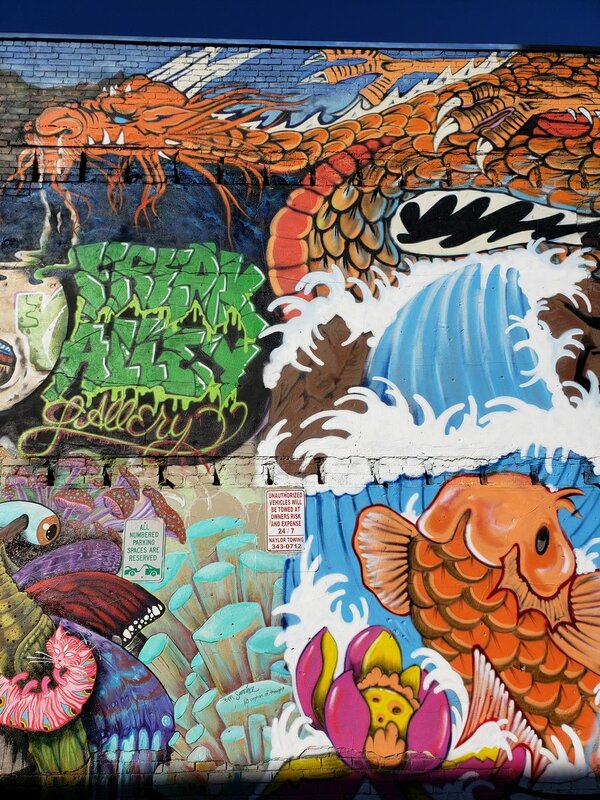 Founder Colby Akers and more than 200 local artists have shared their pieces on the alley’s walls. Permission to decorate the bricks comes from business and building owners, as well as public officials. 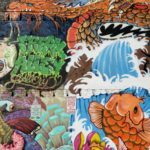 Artists, who can submit their ideas for the alley year-round, get to work painting in the first part of August. They climb ladders, crouch in doorways and scale scaffolding to cover the alleyway with their work as the public wanders by. 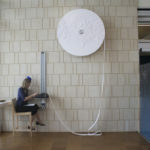 An unveiling is then held on the second Saturday in August to showcase the completed works. The murals range from the realistic to the fantastical. There are even pop culture-inspired ones, such as the Breaking Boise mural that mixes Breaking Bad with Batman. Be sure to look up, down and around as you explore the alley, as some works may be tucked into spaces you may not expect. 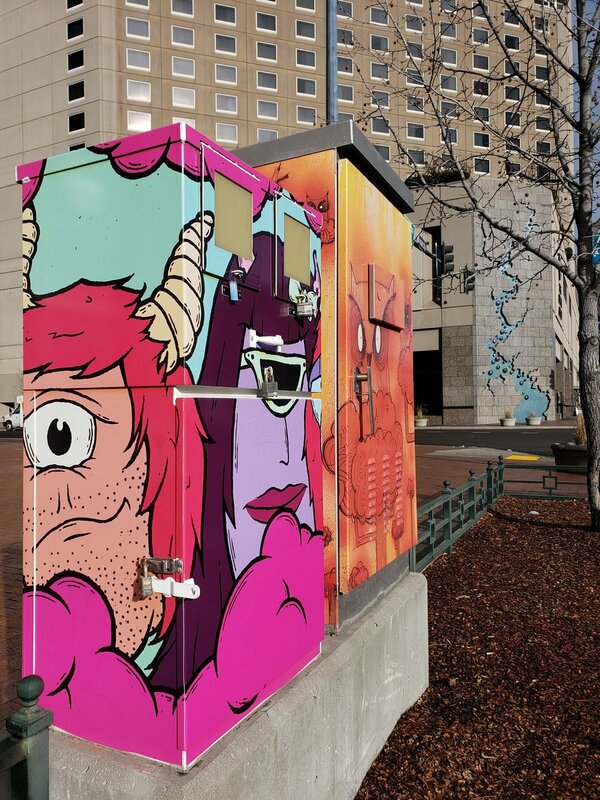 Artful camouflage is the name of the game when it comes to Boise’s traffic boxes. 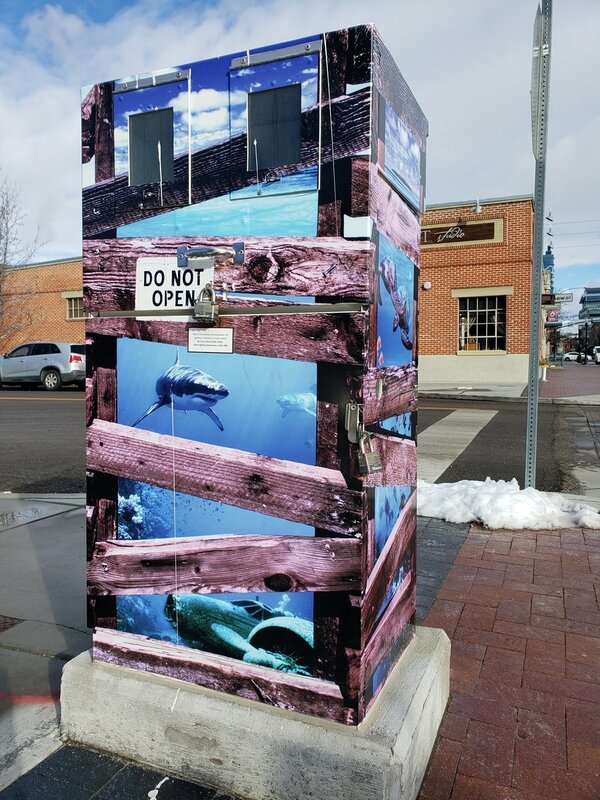 Do Not Open by Sue Latta has been warning passersby not to mess with the sharks (and the necessary components to control the city streetlights and Ada County Highway District traffic signals) since 2013. 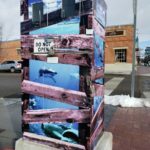 The piece is one of 192 vinyl-wrapped boxes in areas across Boise that are highly visible to motorists and pedestrians. The call for box art goes out each wintertime, selections are made in spring, and artists finalize their work over the summer. By autumn, the boxes disappear under animals, trees, teddy bears, geometric shapes, words and whimsical creatures. 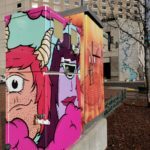 “The traffic box program is one of the more publicly recognized ones we run,” says Karl LeClair, Boise City Department of Arts & History Public Art manager. 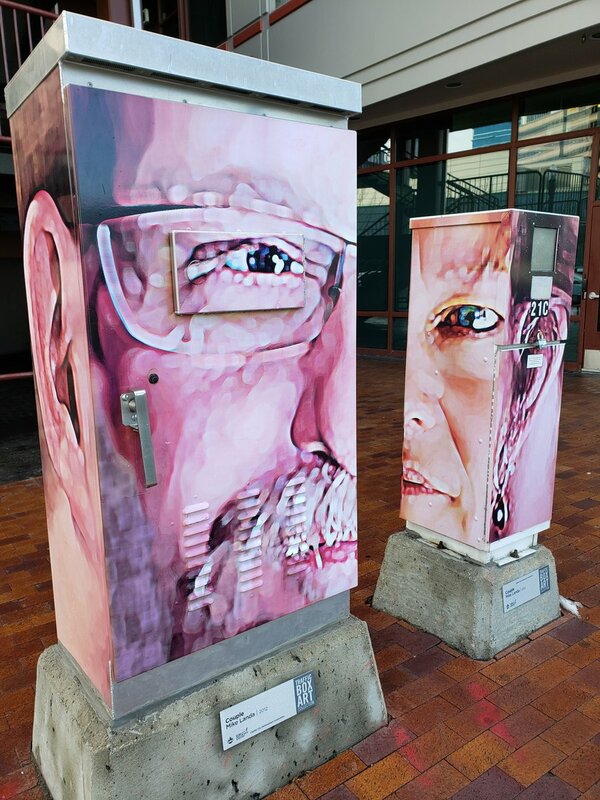 “It’s primarily local artists, and it brings the art right out onto the street where everyone can enjoy it. We’re really proud we can pay a local artist to support their work and bring it out into such a public platform. Tracking down public art can be as simple as taking a stroll through downtown Boise and picking a direction to look in. However, if you’re more the type to scope out a route in advance, the Boise City Department of Arts & History provides an interactive, filterable map of public artwork on its website, BoiseArtsAndHistory.org. 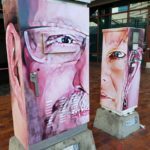 It covers everything from traffic box masterpieces to pieces with hidden surprises, like the old-timey camera stationed at Main and First Street (formally known as Spanish Village; Jesus Urquides). For those who fancy themselves talented with a paintbrush (or sculpting knife, chisel or wire nippers), prospects abound to share your talent with the world. BCDAH maintains a list of opportunities for local, national and even international art submissions. Never proposed on a public artwork before? BCDAH has you covered there as well. The department outlines art types, funding, portfolio builders and what to do when you win an opportunity.